TYPES OF DENTAL HYGIENE TEMPORARY SERVICES Short-term assignments imparting professional, compassionate, reliable services to dental offices in need. Long-term assignments for maternity and or medical leave. Providing smooth, stress-free transition coupled with dependable and ethical dental hygiene care. Director of Sales, Marketing, Community Outreach and Human Resources. Director of Sales, Marketing and Community Outreach at Home Helpers KC West. Responsible for sales and marketing of Home Helpers KC West's products and services. Consistently increasing revenue for company through exceptional interpersonal communication skills and relationship building. Creating, producing and facilitation of “Smiles for Seniors” an educational seminar for seniors and their caregivers. Consistently providing solutions for particularly challenging client assignments. Director of Human Resources at Home Helpers KC West. Produced and taught 16 module Caregiver Training Manual resulting in improved customer service processes and procedures. Key resource person and liaison between client, staff and company President. RDH private practice of James Trotter, Daniel Harmon, Todd O’Neil and Michael McBride. Designed “Lifelong Smiles” program to inspire children and engage parents in a fun and creative way to maintain healthy smiles. Assumed leadership position in inventory management resulting in substantially reduced expenditure costs. Applied skills to develop 8 section Hygiene Office Manual to benefit both clinical and administrative teams. Foremost person for continual improvement of services and qualities therein. Known for exhibiting leadership, innovative thinking and being a valuable well-rounded team member. Developing company recognition and brand awareness of integrity, innovation and performance. Purchasing products, managing inventory and running financial department. Assembling and distribution of large quanities of business to business gift baskets. Hiring, training and managing staff of 8 to 20 employees. State of Kansas Dental Hygiene License. State of Kansas Local Anesthesia Certification. Member of American Dental Hygienist Association. Member of Kansas Dental Hygienist Association. Member of Johnson County Dental Hygienist Association. Member of National Association of Women Business Owners. Committee Member of A Better KCK. Completion of Fast-Trac II Entrepreneurial Achievement from Kauffman Center of Entrepreneurial Leadership. Top one fourth of graduating class. Twenty-nine years of sales and clinical dentistry . Exceptional interpersonal skills with specific focus on the correlation between overall health and dental health. Ability to clearly educate the public regarding necessity of following through with prescribed treatment plan and preventative care. Organized and self-motivated with strong work ethics. Extensive experience in public speaking facilitating educational seminars to seniors and their caregivers. Able to assist with case acceptance generating greater profitability. 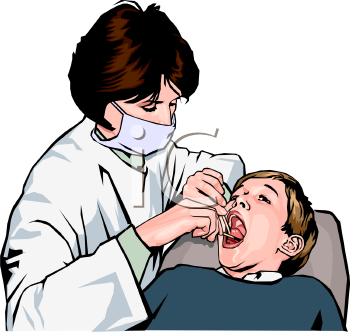 Accomplishing oral hygieneprocedures in accordance with treatment plans prescribed by the attending dentist. Highly skilled clinician proficient in all hygiene related services including periodontal scaling, rootplanning, debridement and adjunct therapies such as placement of subgingival medicaments. Certified in administration of local anesthesia. To provide leadership, strategic vision and thinking that results in growth to an organization. To make a positive contribution to my community. I love to help people see their own potential. Empowering individuals to achieve the impossible in their own lives. Through volunteering in faith-based and health-related community service activities I make a positive contribution in my community. My values guide the way I work and live my life. I celebrate positivity in others. I am always striving to strengthen my network through education and life long learning. Demonstrating excellence in everything I do. Where good enough is not good enough. Learn from the past what works and what does not work. Strive to invent a brilliant future. Working within an organization and building trust through collaboration with others. Team work with other staff or with individuals I have the great honor to treat clinically as a Dental Hygienist. I have been involved in numerous volunteer activities giving me the exposure of seeing how others live and have great compassion for those less fortunate. I wish to give hope through my good works. By honoring my commitments and never compromising my ethics.